Twins or doubles can be considered a cliché even though this plot point doesn't happen too often in PEPLUM flicks. Here's a few films with twins, usually one good and one evil, or bad guys morphed into the likeness of our Hero. I've updated the list from a previous post. 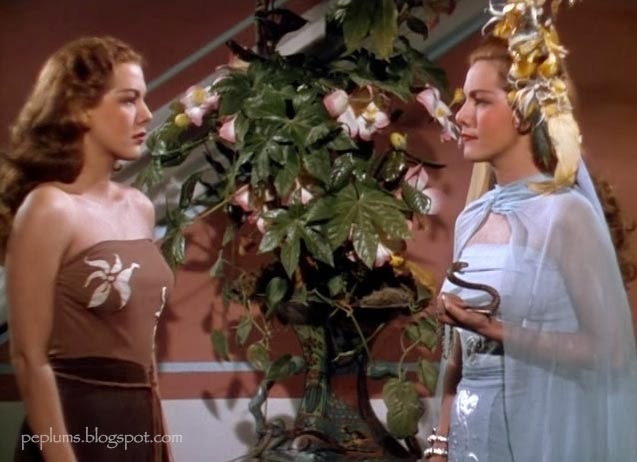 Maria Montez plays twins in COBRA WOMAN; Tollea, left, is the good peasant and on the right, Naja, the evil Queen. 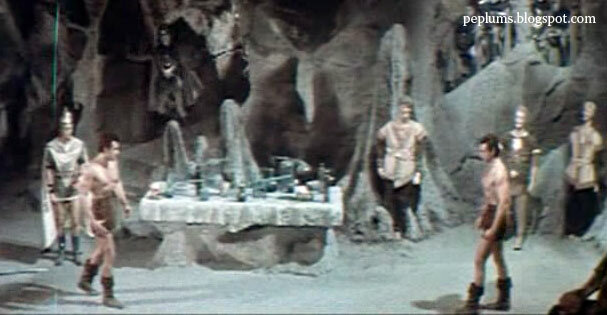 Rosanna Schiaffino plays estranged twins in THE MINOTAUR; it's a good role for her. 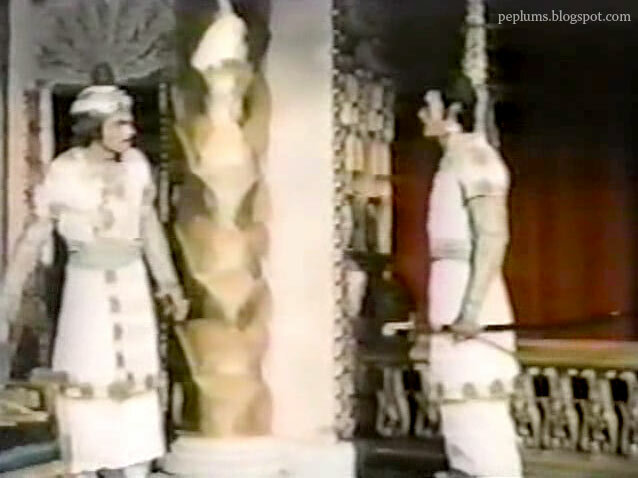 Gordon Scott fights with himself, in one of the best scenes in PEPLUM history, as evil Kobrak takes his shape, from GOLIATH & THE VAMPIRES. 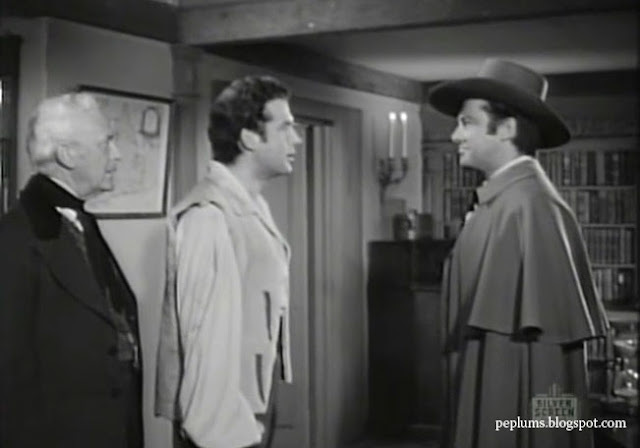 Richard Greene times two in THE BANDITS OF CORSICA. Good film.